AstroPilot aka Dmitriy Redko returns with a new beatless space-ambient opus composed in the beautiful and natural 432Hz frequency. 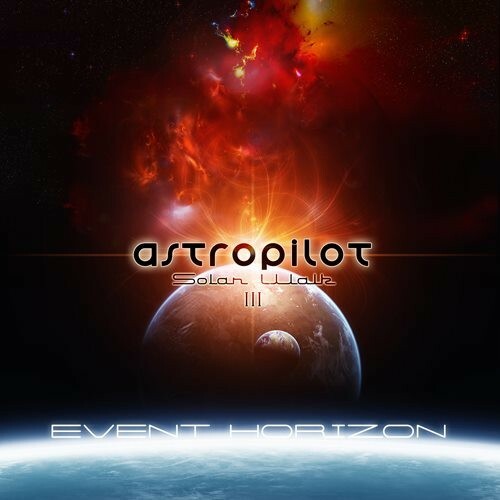 Following up the magnificent Solar Walk ambient series, he grants us with a volume 3 entitled 'Event Horizon'. Lush, majestic, ambient soundscapes that hang suspended in space, often backed by melodic flourishes, an emotive ambient symphonic shifting tapestry. Shimmering, sparkling, intertwining, cosmical space music. A serene journey away from Earth and into the depths of space. If you have a tendency towards escapism, or just a vivid imagination, this is the perfect music to get lost in. Tune in and wave planet Earth good-bye!